Batman ’66 is inspired by the classic TV series and features many fan-favorite characters like Catwoman, The Riddler, The Joker and, of course, the dynamic duo of Batman and Robin. Written by Jeff Parker, the series features artwork by Jonathan Case and a cover art by Michael Allred. Readers will put on their go-go boots and get ready to “Batusi” back to the Swingin’ 60s. The all-new stories portray The Caped Crusader, The Boy Wonder and their fiendish rogues gallery just the way viewers remember them. In the first adventure, The Riddler’s out to steal valuable artwork from under the nose of Gotham’s police force and Batman gets help from an unlikely source: a certain femme fatale dressed in feline finery. 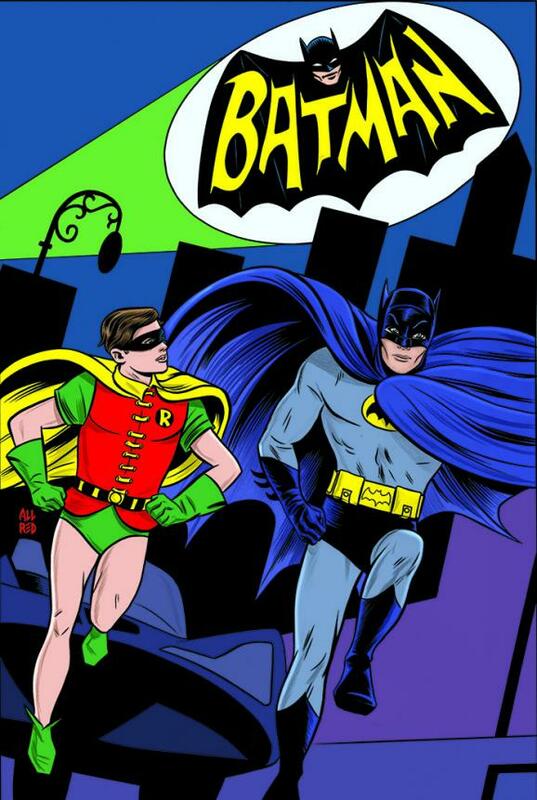 “It’s been great collaborating with DC on Batman ’66 #1 for the first DC2 release,” said co-founder John D. Roberts. “Leveraging the unique abilities of our Guided View reading technology to push the boundaries of digital storytelling is going to be a huge benefit to the comic book reader and Batman fans around the world”. Batman ’66 #1 is available for download today from ComiXology, and monthly print issues that collect three digital chapters will also be for sale in comic book shops across the U.S., with the first print issue hitting stands on Wednesday, July 17. Non-DC2 versions of Batman ’66 #1 will also be available for download on other digital platforms including iBookstore, Kindle Store and Nook Store.